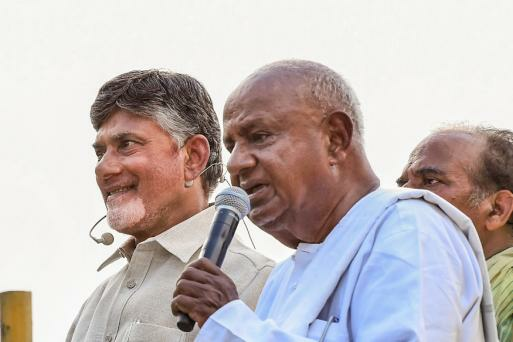 Election Tracker LIVE: Andhra Pradesh chief minister Chandrababu Naidu's "rival" K Chandrashekar Rao announced today that his party Telangana Rashtra Samithi (TRS) will support special status to the neighbouring state. Naidu had last month declared that KCR, not Jaganmohan Reddy, was TDP's main rival in AP. 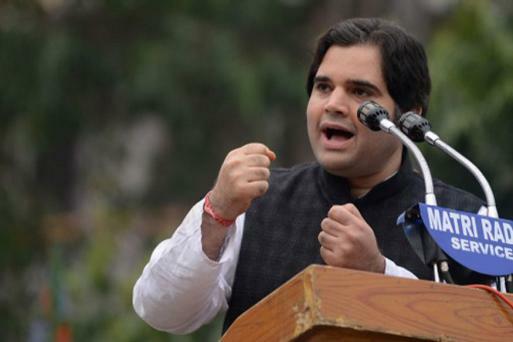 BJP parliamentarian Varun Gandhi's dues of Rs 38,616 against his Pilibhit office telephone number. The state-owned telecommunications Bharat Sanchar Nigam Limited (BSNL) has written a letter in this regard to district election officer, informing them that despite "repeated reminders" the bill is yet to be paid. 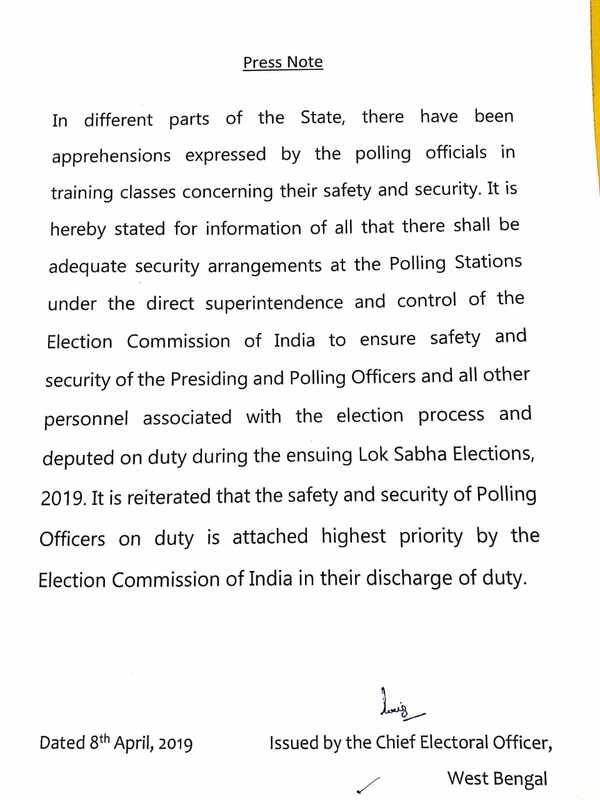 EC Officials On Strike, Demand Security in West Bengal | Hundreds of Election Commission officials go on strike demanding security in Cooch Behar area of West Bengal. The officials are demanding the deployment of CRPF personnel for their security. The CEO West Bengal in a press release has informed that discussions have been held with employees associations and they have assured due cooperation. With nine first time contestants in both assembly and Lok Sabha , this is the highest number of women candidates in the state till date. Farmer Support Scheme, River Water Utilisation Implemented by TRS: KCR | Telangana chief minister K Chandrashekhar Rao at a public meeting in Vikarabad claimed that both the Congress and the BJP "copied" the schemes being implemented by his government in Telangana. Rao claimed the two parties copied 'Rythu Bandhu (investment support scheme for farmers) being implemented by the Telangana Rashtra Samithi government. Rao also said that optimum utilisation of river waters is another scheme the BJP said it would focus on. Tickets Sold to the Highest Bidder: SAD Leader | The Akali Dal's core committee member and former state minister Bikram Singh Majithia at a public meeting today in support of SAD candidate Darbara Singh Guru contesting from Fatehgarh Sahib Lok Sabha constituency accused the Congress of selling tickets to candidates aspiring to fight the ongoing Lok Sabha elections, saying denial of tickets have caused resentment among the party's "loyal leaders". "The Congress has sold tickets for Lok Sabha seats to the highest bidders, causing a lot of resentment among its loyal workers and senior leaders," alleged Majithia. No Government Without TMC: Mamata Banerjee | Trinamool Congress supremo and West Bengal Chief Minister Mamata Banerjee today asserted that her party would play a crucial role in forming the next government at the Centre, after the Lok Sabha polls, PTI reported. "There will be no government formed without the TMC. They (the BJP) have only one arrogant man in him (Prime Minister Narendra Modi). But we have so many leaders who have credibility... So, we will decide it (on the PM face of the opposition alliance) later. Let the elections be over," she said. The telecom agency's letter also said that Gandhi has filed the nominations for upcoming Lok Sabha polls from Pilibhit but didn't obtain the required no-dues certificate from Pilibhit BSNL. Rs 5 Lakh Interest Free Loans to Women SHGs: Naveen Patnaik's | BJD president and Chief Minister Naveen Patnaik at a public meeting in Nuapada district in Odisha said the BJD government if elected, would make provision of Rs 5 lakh loan to women self-help groups at zero per cent interest, a day after BJP announced Rs 3 lakh interest-free loan to WSHGs. "Four and a half crore people of Odisha are my family and I will serve them till my last breath," Patnaik said. The Odisha chief minister also promised that the BJD government would provide works worth Rs 5,000 crore per year to Mission Shakti workers if his party returns to power in the state for fifth consecutive times. 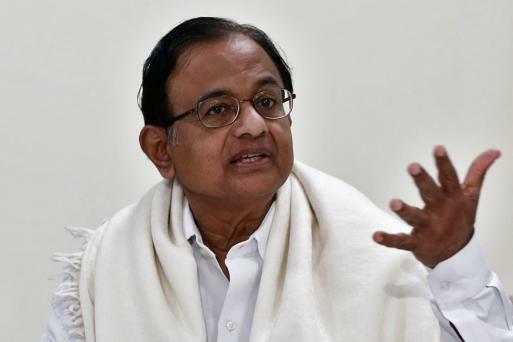 BJP Manifesto, a List of Jumlas: CPI | CPI national secretary D Raja today said the BJP manifesto was a list of new 'jumlas' to conceal the betrayal and the broken promises made to the people in the last five years. "The BJP manifesto is a list of new jumlas (gimmicks) to conceal the betrayal and broken promises of last five years. The BJP has become the Bharatiya Jumla Party," he said. Raja added that the BJP's manifesto confirms the saffron party is nothing but a political tool of the Rashtriya Swayamsevak Sangh whose ideology is "divisive, sectarian, communal and fascist." CLICK TO READ | As BJP Manifesto Promises to Enact Citizenship Bill, Can it Hurt Saffron Party's Prospects in Northeast? 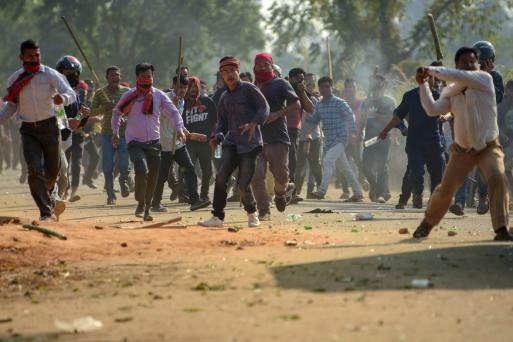 The All Assam Students' Union that led to anti-bill protests across the state has vowed to renew its agitation if the BJP attempts to introduce the bill again. 2019, a Fight for the People: Mamata Banerjee | TMC chief and West Bengal chief minister Mamata Banerjee spoke to News18 and explained what the 2019 battle looks like for TMC. "I don't think any fight is tough. If you have faith in yourself, fighting spirit and support of the people I think no fight is tough. I don't create any wave. People of Bengal create waves. Let them ridicule my slogan 'Maa, Mati, Manush'. My theme is Maa Mati Manush. While offering prayers if they ask my caste I say Ma Mati Manush. This is a fight for the people. They will Judge. They will vote," she said. The CPI-ML candidate from Kodarma Lok Sabha seat in Jharkhand calls out the BJP's Manifesto which says that greater clearances for projects lead to an increase in forest cover. 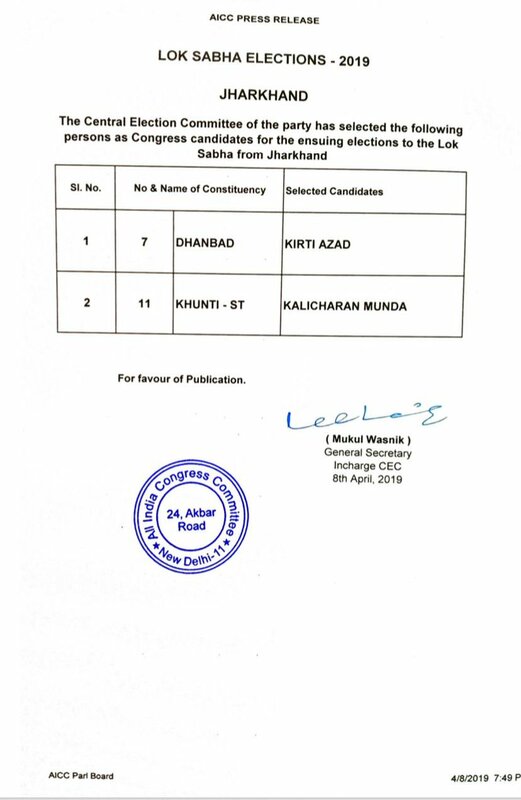 Congress nominates Kirti Azad and Kalicharan Munda to contest for Congress from Dhanbad and Khunti Lok Sabha constituencies respectively. The Aam Admi Party takes a hit at the BJP for a poll promise in their manifesto. BJP's 'Sankalp' to ENCOURAGE Crime Against Women. YSRCP, TRS Will Work Together for Both States: KCR | Telangana CM and TRS chief K Chandrashekhar Rao at a public meeting in Vikarabad said that TRS will support the demand for special status for Andhra Pradesh. "YSRCP is going to form the government in Andhra and we will work together for the development of both states," KCR said. UP CM Yogi Adityanath said the BJP via its manifesto will address the aspirations of the people in the next five years. 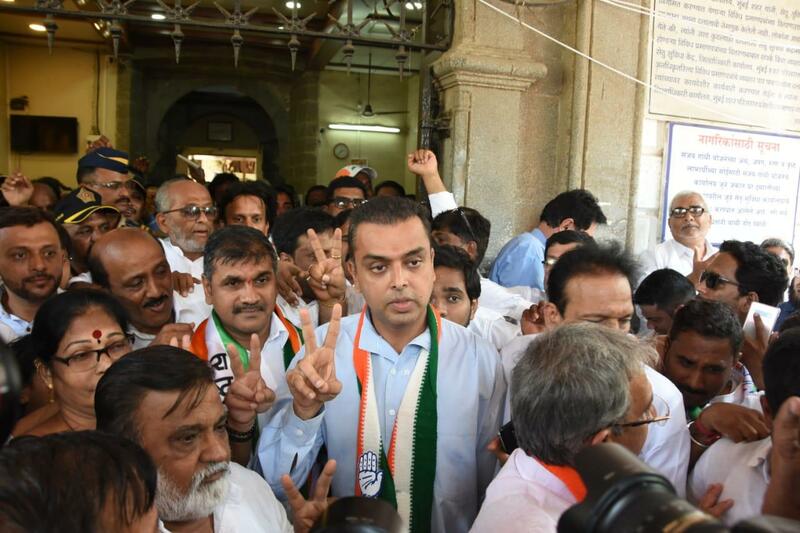 Mumbai Congress president Milind Deora after filling his nomination from Mumbai South constituency today. We are Not Satisfied With EVM Review: Randeep Surjewala | Congress party's chief spokesperson Randeep Surjewala today urged the Supreme Court to review its decision on the matching of VVPAT slips with EVMs, saying it is not satisfied with the counting being held in only five booths in each assembly segment. 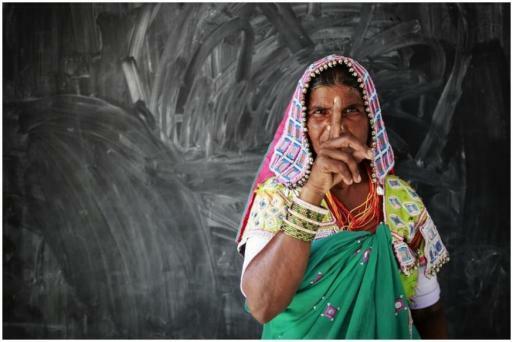 "No, we are not satisfied with counting only five VVPATs. As a citizen, I feel if I am going to pay for Rs 18,000 crore for VVPATs, the democracy enjoins upon every constitutional authority, every government to ensure that election is free, fair, proper and without an iota of doubt regarding the exercise of franchise by every individual," he said. 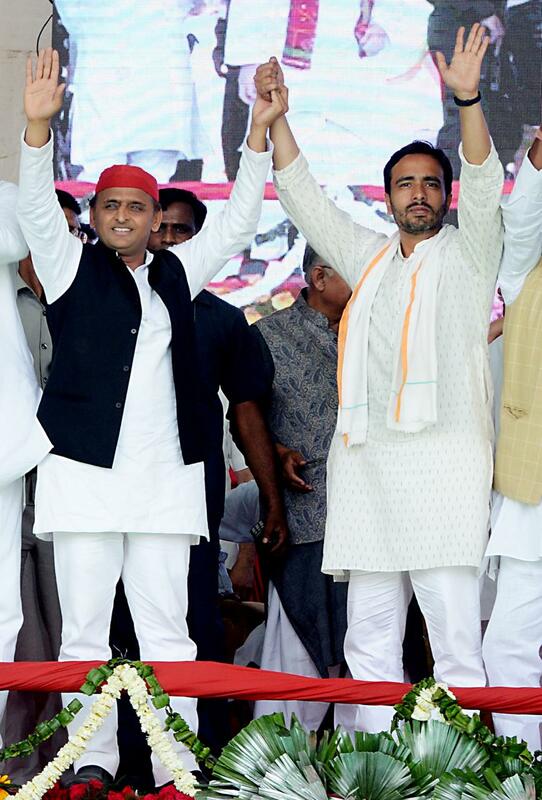 SP chief Akhilesh Yadav and RLD vice president Jayant Chaudhary at the joint public meeting of their parties in Baghpat, Uttar Pradesh today. Why Can't Everyone Praise PM Modi For Attacking Terrorists: Rajnath Singh | Union Minister Rajnath Singh at a public meeting today in Jammu and Kashmir said "For defeating Pakistan, if everyone in the country praises Indira Gandhi, then why can't PM Modi be praised for hunting terrorists down in their own ground". For or Against Women? : Divya Spandana | Former Congress MP Divya Spandana takes a hit at the BJP for a 'strange' poll promise they made in their manifesto. 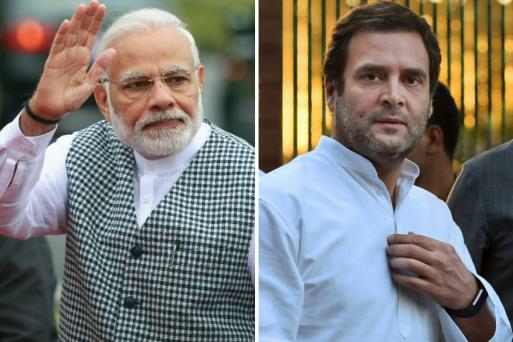 New Delhi: From farmer distress, national security and women empowerment to unemployment, economic growth and good governance, the BJP had a plethora of issues to choose from for its manifesto, released by Prime Minister Narendra Modi and party president Amit Shah on Monday. No Option But to Abolish Article 370, 35A: Rajnath Singh | Union Home Minister Rajnath Singh at a public meeting in Suchetgarh, Jammu and Kashmir today said there will be no option with the government other than abolishing articles 370 and 35A related to special status to Jammu and Kashmir in the Constitution if "someone" talks about having a separate Prime Minister for the terrorism-affected state, PTI reported. His reaction came a week after National Conference leader Omar Abdullah had said that his party will strive hard for restoring the autonomy of Jammu and Kashmir that could include having a 'Sadar-e-Riyasat' (President) and 'Wazir-e-Azam' (Prime Minister). PM Modi is a 'National Calamity': Sharad Pawar | NCP chief Sharad Pawar at a public meeting today in Amrawati, Maharashtra called Prime Minister Narendra Modi a "national calamity" who needs to be defeated in the upcoming Lok Sabha polls to safeguard the nation. Pawar also attacked the PM for the latter's personal diatribe against him at a rally in Wardha. "We can run the country well. Modi need not worry about our ability," he said. PM Modi had previously said that Pawar had lost grip on the Nationalist Congress Party which was wracked by a "family feud". We Need a Third Front, Third PM Candidate: Kamal Haasan | Makkal Neethi Maiam leader Kamal Haasan today during the release of his party's manifesto said the people have started thinking of a third front and expressed the need to project a third prime ministerial candidate. PM Modi was Busy Touring for 5 Years: Mamata Banerjee | West Bengal chief minister Mamata Banerjee at a public meeting in Nagrakata, West Bengal said Prime Minister Narendra Modi should be thrown out of power and politics and his mouth should be sealed with surgical adhesive tape. “When elections are knocking at the door, Modi is threatening everybody and blabbering lies,” Banerjee alleged, claiming that he would get the first prize if there was a competition of telling lies. For four and half years PM Modi did not have the time to look after the farmers and the middle-class because he was busy touring the world, she added. Can't Go Back to Days of Independence: Sougata Roy | TMC leader and MP from Dum Dum constituency in West Bengal spoke to CNN News18 and expressed his party's position on the debate on Kashmir's constitutional jurisdiction. 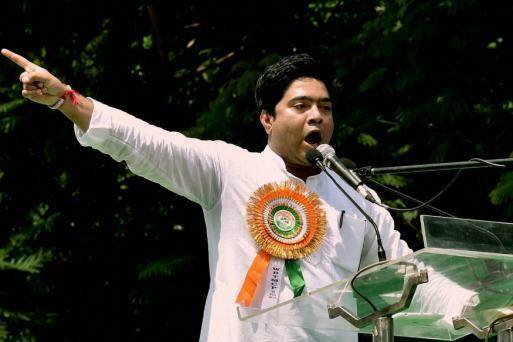 The MP said that TMC is opposed to the scrapping of Article 370 or Article 35A. "This is a divisive issue which has been raised for a long time. But, they will be dropped post elections. The current demand is a deviation from the days of Independence when Kashmir was integrated into India. It would be bad for democracy to go back on that," he said. PDP chief Mehbooba Mufti expressed anguish over the BJP's poll promise to abrogate Article 370 and annul Article 35A from the constitution. Former Jammu and Kashmir chief minister Mehbooba Mufti today said that once Article 370 is scrapped, the state leaders will not be able to fight polls. Her reaction came after a PIL was filed in the Delhi high court to ban Omar, Farooq Abdullah and Mufti from contesting elections. Samajwadi Party president Akhilesh Yadav today repeated BSP chief Mayawati's appeal to not let votes get split. The BSP chief's speech at Deoband on Sunday was ostensibly aimed at ensuring Muslims stay firmly behind the alliance. The open appeal to the minority community came at the first joint rally held by the two alliance partners in 25 years. "I want to make an open appeal. It's not the Congress but the alliance which is fighting the BJP. Congress wants to ensure the alliance does not win. Congress is trying to help the BJP in this election,” she said while sharing the stage with Akhilesh Yadav and RLD chief Ajit Singh. Ram Mandir, Uniform Civil Code and a zero-tolerance policy towards terrorism are some of the big promises made by the BJP in its 2019 manifesto ‘Sankalp Patra’, Union minister Rajnath Singh has announced. Singh also addressed the contentious issue of Citizenship Amendment Bill, saying it would be implemented without compromising with the identity of states. On Kashmir, he said the party was committed to annulling Article 35A of the Constitution as the provision is discriminatory against non-permanent residents and women of Jammu and Kashmir. “We believe that Article 35A is an obstacle in the development of the state,” he said. Prime Minister Narendra Modi, while addressing the gathering, said the BJP’s approach is need-based and politics can continue but to move the nation ahead, “our approach is multi-dimensional”. “BJP's 'Sankalp Patra' aims to make India a developed nation by 2047, on completion of 100 years of Independence,” he said, adding that they had made several policies and taken several decisions keeping in mind good, easy, transparent, responsible and accountable governance. BJP chief Amit Shah kicked off the launch of the party’s manifesto for the upcoming Lok Sabha elections, saying it was going with 75 promises to people to celebrate 75 years of Independence. Shah said the party had a strong leader in the form of Prime Minister Narendra Modi and the BJP would “do what it takes to make this country great”. The ruling party is likely to make a slew of promises to woo different sections of the society, especially farmers, youth and women, besides the downtrodden. The Congress, meanwhile, reminded voters of the "good old days before 2014 when Indians had jobs & a PM that didn't lie to them". Meanwhile, Modi will campaign in three states — Maharashtra, Karnataka and Tamil Nadu. In Maharashtra, PM Modi will address a rally at Osmanabad, a constituency governed by BJP ally Shiv Sena. Then, he will land in Karnataka’s Chitradurga, which is under the Congress. After Chitradurga, it will be Mysuru, which was won by the BJP in the last Lok Sabha election. Later in the evening, Modi will reach Tamil Nadu where he will take the BJP rally forward to Coimbatore. Meanwhile, Congress President Rahul Gandhi and party general secretary for eastern Uttar Pradesh Priyanka Gandhi are set to address three election rallies in politically crucial Saharanpur, Shamli and Bijnor districts of western Uttar Pradesh, where polling is scheduled to take place in the first phase. On the other hand, Samajwadi Party president Akhilesh Yadav will be campaigning in Ghaziabad and Baghpat constituencies, which fall under western UP as well. BSP supremo Mayawati will also address massive rallies across western UP. In Kairana and Muzaffarnagar, Uttar Pradesh Chief Minister Yogi Adityanath will address four rallies. External Affairs Minister Sushma Swaraj will also be in the politically crucial state. Besides, the Supreme Court will hear the CBI’s plea against former Kolkata Police Commissioner Rajeev Kumar. The CBI had moved the apex court to arrest Kumar and had filed a fresh plea in the SC where it claims that the ex-police chief was evasive and concealed information and may also be responsible for destruction of evidence.